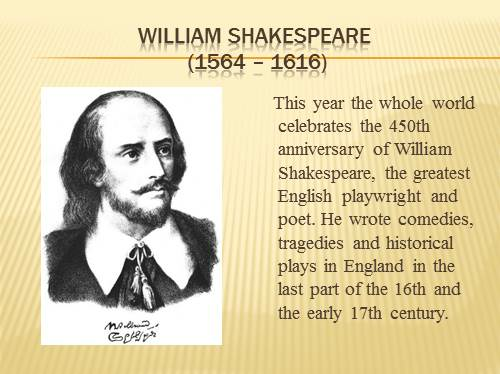 This year the whole world celebrates the 450th anniversary of William Shakespeare, the greatest English playwright and poet. He wrote comedies, tragedies and historical plays in England in the last part of the 16th and the early 17th century. William Shakespeare was born in 1564 in the English town of Stratford-upon-Avon. 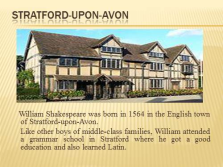 Like other boys of middle-class families, William attended a grammar school in Stratford where he got a good education and also learned Latin. We don’t really know what William did during the following years but in 1592 he went to London to work as a writer and actor. 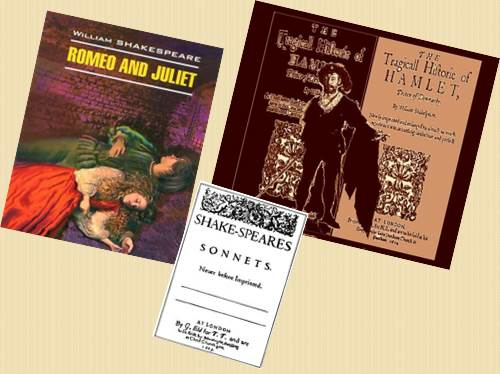 He wrote his first sonnets and poems. 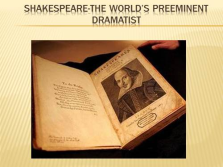 In 1594 Shakespeare joined the best acting company of the country—Lord Chamberlain’s Men. 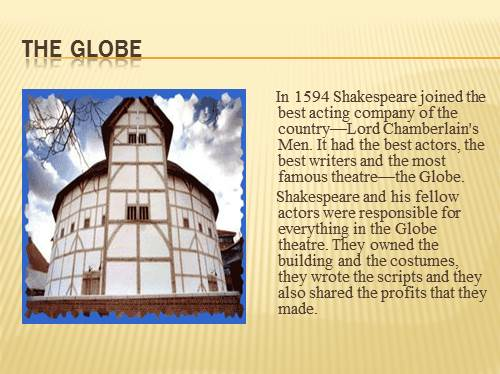 It had the best actors, the best writers and the most famous theatre—the Globe. 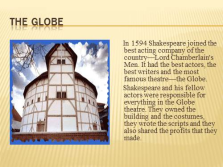 Shakespeare and his fellow actors were responsible for everything in the Globe theatre. They owned the building and the costumes, they wrote the scripts and they also shared the profits that they made. 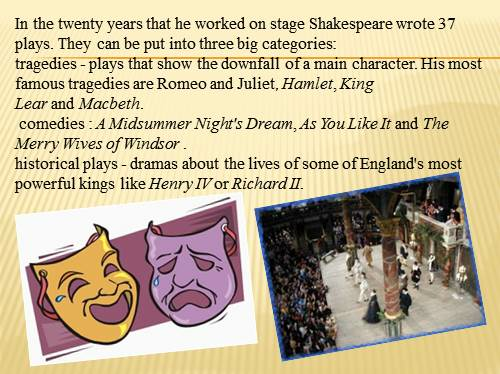 In the twenty years that he worked on stage Shakespeare wrote 37 plays. They can be put into three big categories:tragedies — plays that show the downfall of a main character. 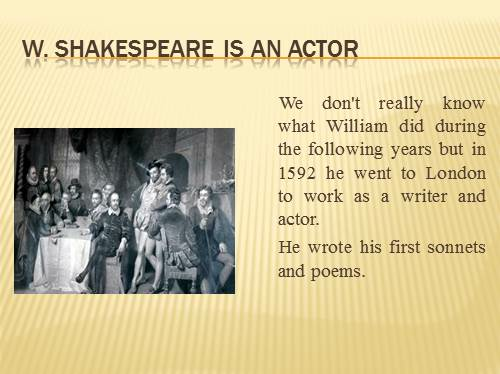 His most famous tragedies are Romeo and Juliet, Hamlet, King Lear and Macbeth. comedies : A Midsummer Night’s Dream, As You Like It and The Merry Wives of Windsor .historical plays — dramas about the lives of some of England’s most powerful kings like Henry IV or Richard II.